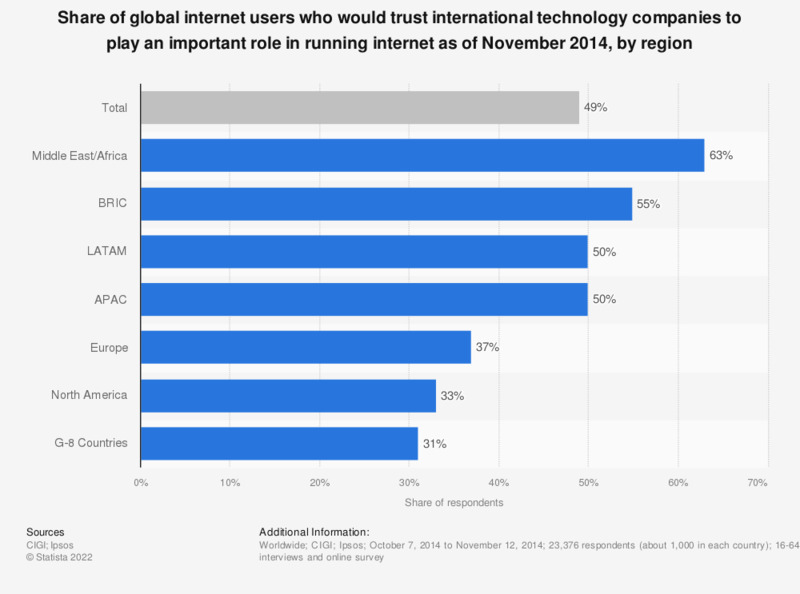 This statistic presents the share of global internet users who would trust international technology companies to play an important role in running internet as of November 2014, sorted by region. During the survey period it was found that 37 percent of internet users in Europe would trust international technology companies to play an important role in running internet. Overall, 49 percent of global internet users agreed with the statement.